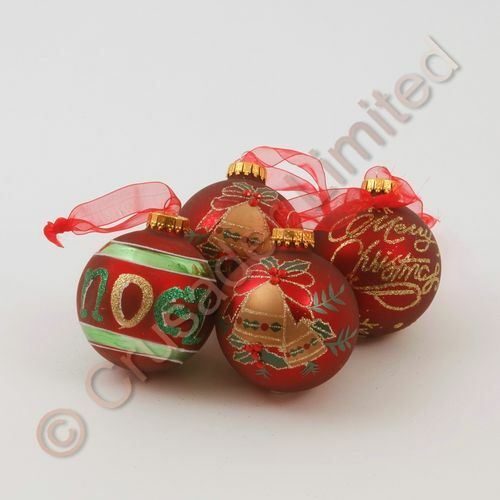 A beautiful set of 12 glass baubles for your Christmas. 4 of each of 3 different designs. All have a mulled red finish, one design has a gold glitter finish with the words Merry Christmas with gold glitter snowflakes. The 2nd design is worded with NOEL in a gold and green glitter finish. The 3rd design has a decorative pair of gold bells.